Your coloring is amazing, these animals are so adorable and funny! Elena your newest set you've designed is just spectacular!!! This set is so much fun. I just love these critters, they have so much character ❤️ All your cards are so adorable! 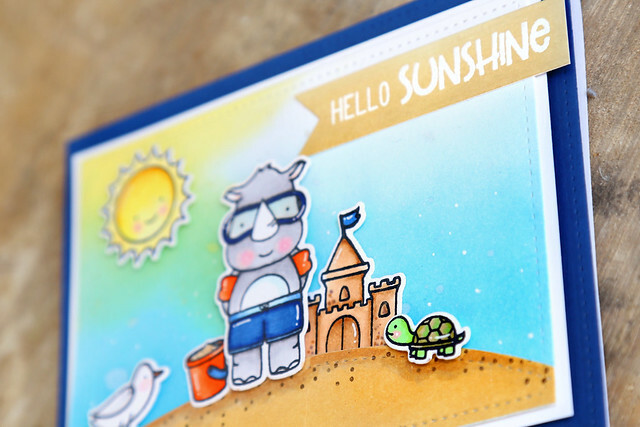 Your Beach Day stamp set design is so happy & such a sweet grouping of 'beach bums'/ great coloring! Elena, I'm in love for this stamp set!!! It's so cute!!! 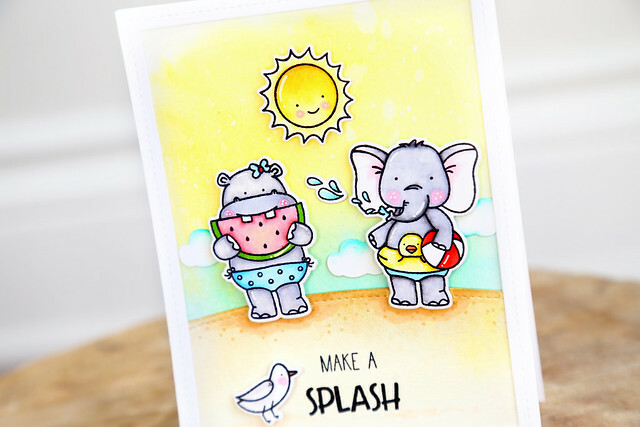 Adorable beach cards!!! 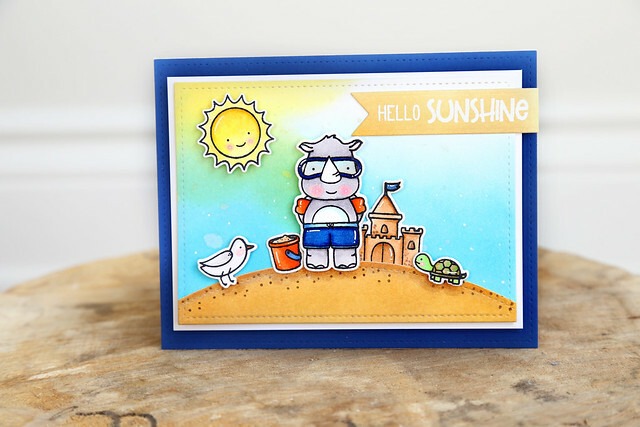 Elena, these beach critters are so adorable staged and colored!! Terrific yellow and mint sky and so cute with the watermelon on the first card! Love the tough guy on the second too!! So adorable! Your cards are adorable. I especially love the one on the deep blue card base. Fabulous and beautiful!! I love the little turtle, so handsome! Oohhh I love your cards so much!! These images make me so happy!! What super cute cards. These critters are so much fun. Oh I am in LOVE with this set. Your cards are just too, too cute!! Darling beach scenes with beautiful coloring! Delightful new stamp set! What a fabulous set you created. The critters are adorable. I like the beach scenes you created. Winter must have really motivated you to design such a gorgeously cute set! Love your cards! These cards are sooo cute! I love them all! These guys are so cute. Thomas and I are so copacetic....the rhino is my fave! I love these beach bum cuties! Very fun cards. Loved the fresh look of your cards a lot ,first one is my fav . CUTE cards! Great summer fun, great release, great hop! The little white dots on the cheeks look adorable. I am in love with your style--your coloring is so fresh and cute!! I love elephants and these are darling. fun idea to have them with their floaties. Your cards are so cute. Great coloring.